Developed by Roy McCullough and R.A. Violette as an inexpensive trainer. It takes its name from Naples in Long Beach, California. Loosely based on Charles MacGregor's SABOT as published in Rudder magazine in 1939. 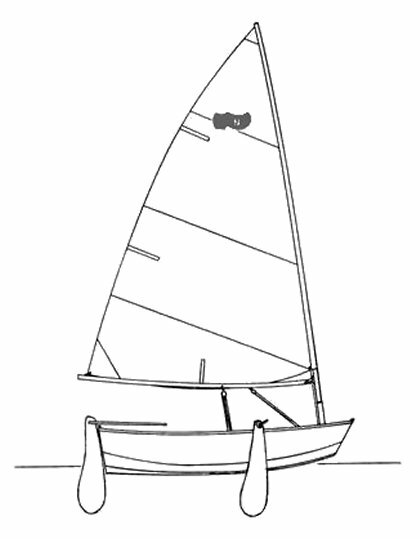 (originally the BALBOA DINGHY). It differs from the original SABOT in its use of a leeboard instead of a daggerboard which was intended to make it more versatile for rowing. An article that appeared in 'Popular Mechanics Magazine' in 1949 brought additional interest in the class. Intended for plywood construction but most recent boats are fiberglass.